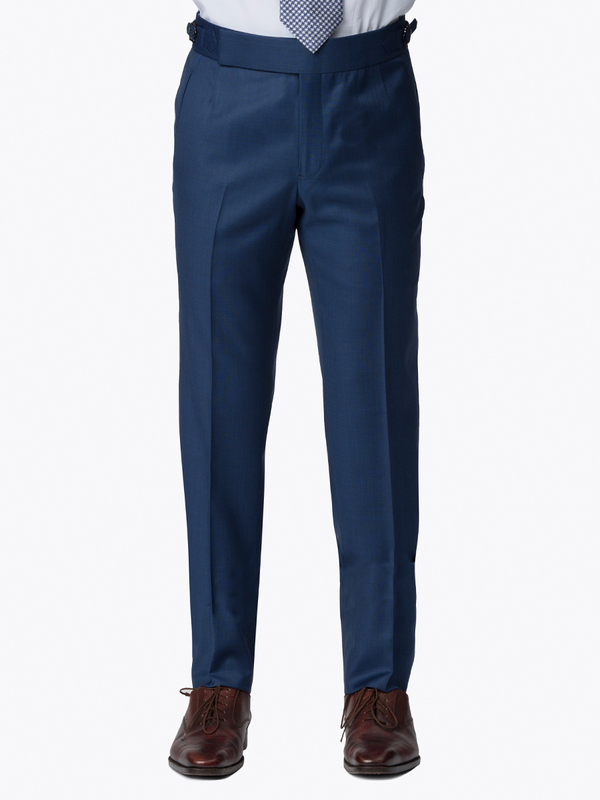 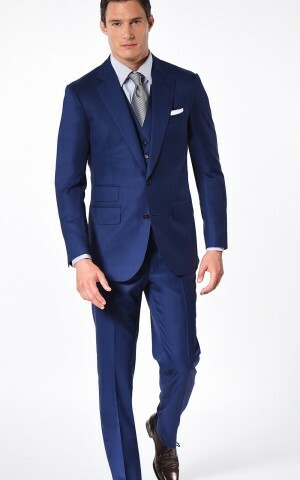 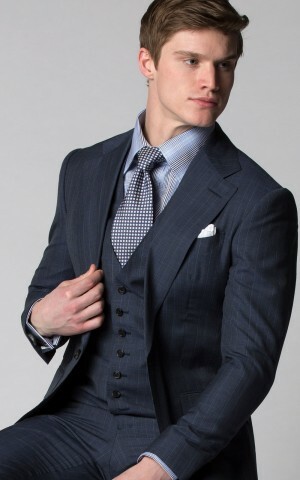 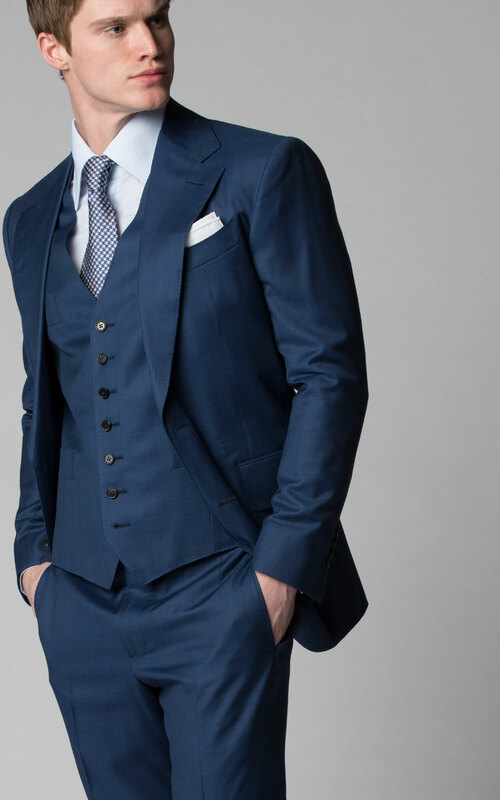 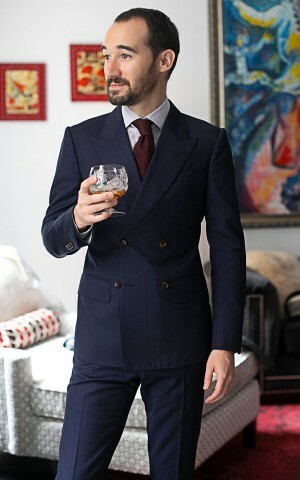 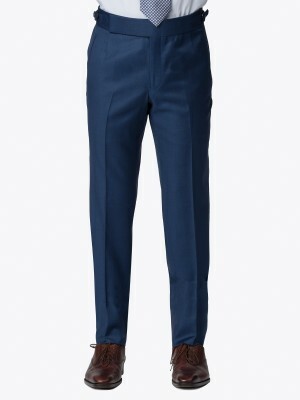 Looking for a great go-to blue suit... that isn't Navy? 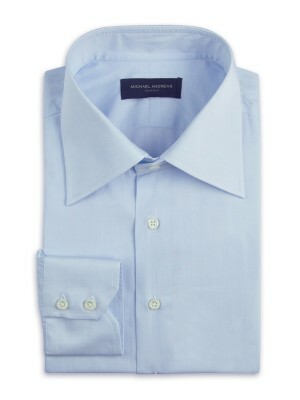 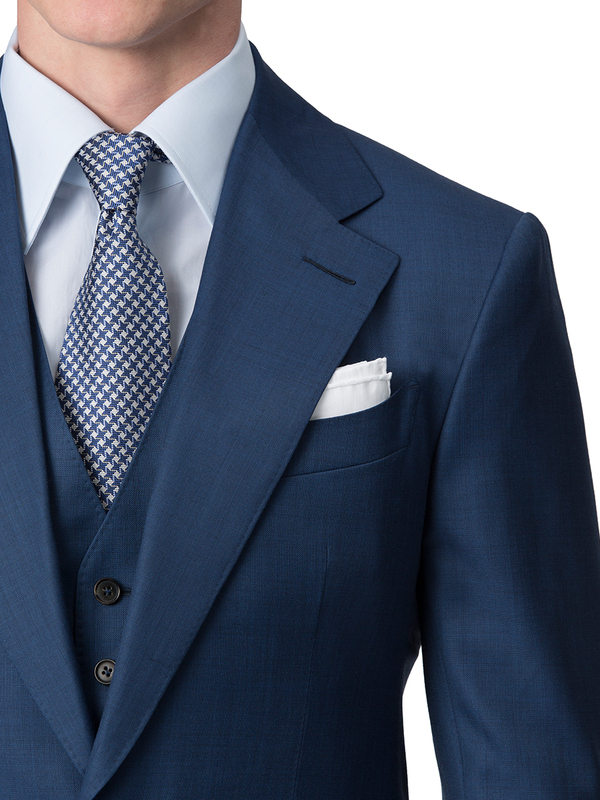 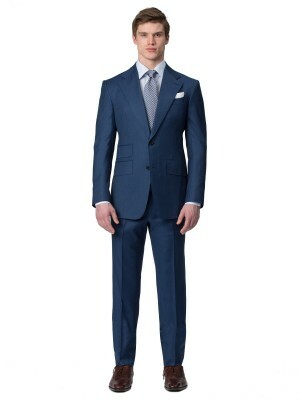 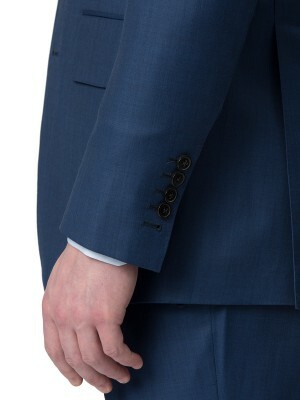 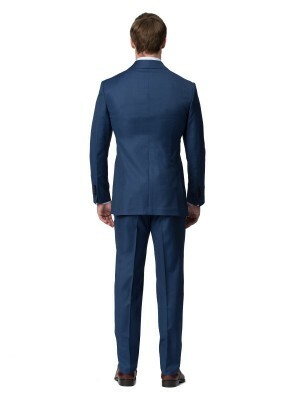 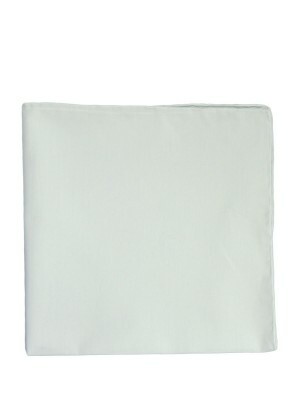 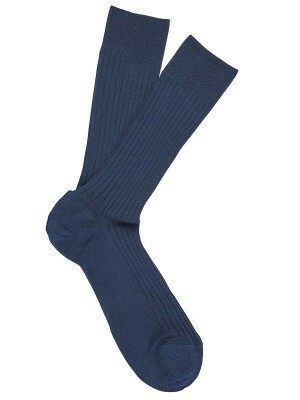 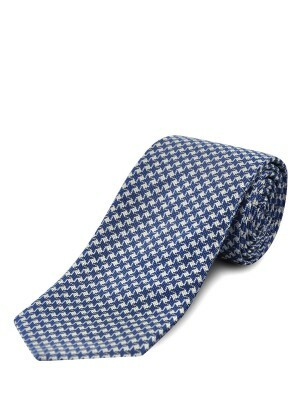 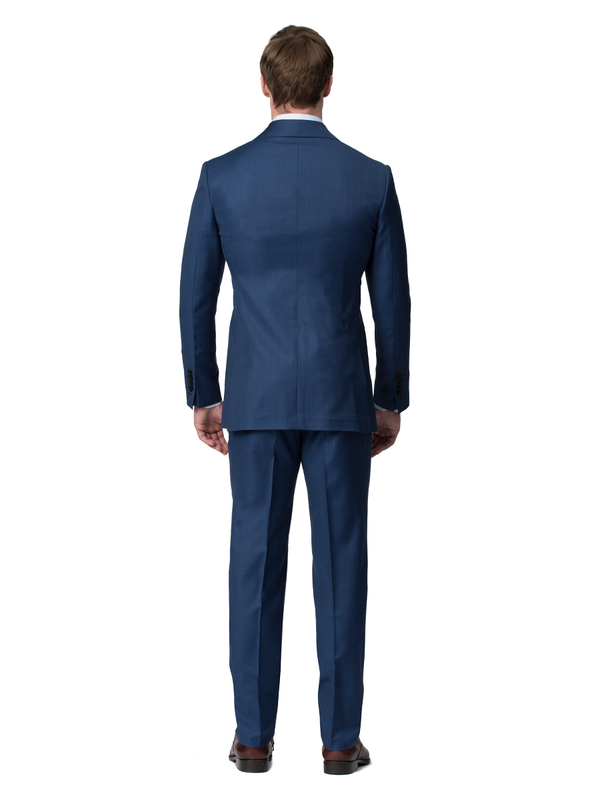 This marine blue sharkskin is a perfect choice. 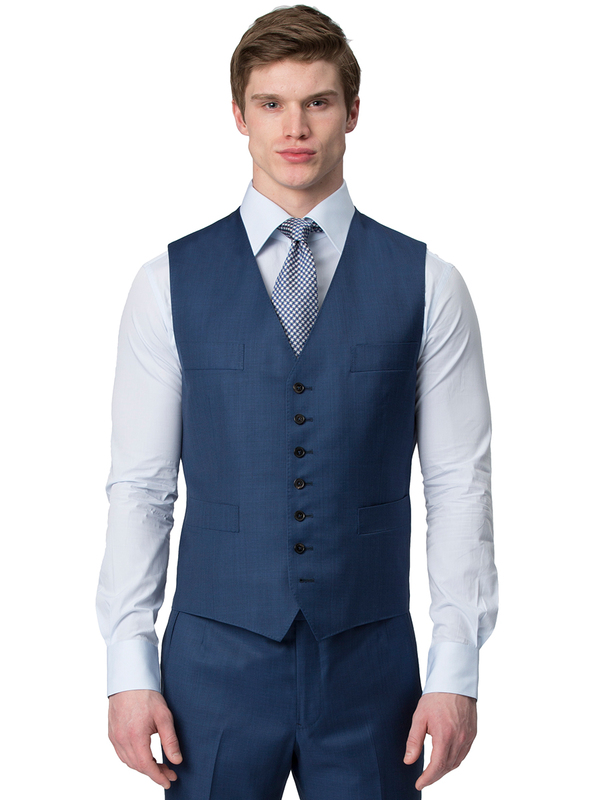 Crafted from luxurious Super 130's worsted wool from Ariston and featuring a half-lining to keep you cool in warm months, this summer suit has enough texture to take you to more formal events as well. 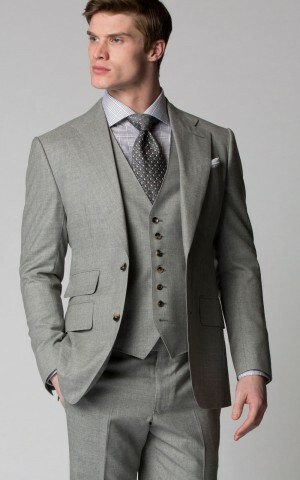 Consider pairing with a waistcoat for a warmer weather wedding.